I’ve always been fine without perfume. While all of my friends were obsessing over Marc Jacob’s Daisy or Chanel’s Coco Mademoiselle, I was completely lost about how and why high school girls could drop €50 and more on a bottle of scented water. That was, my friends, until I walked into Senteurs D’Ailleurs in Brussels and got acquainted with Jo Malone. Jo Malone is different. The British brand is well-known for bringing out scents that no one else would think of. Their scents often are created using contrasting or unexpected ingredients and are as simple as they are elegant. 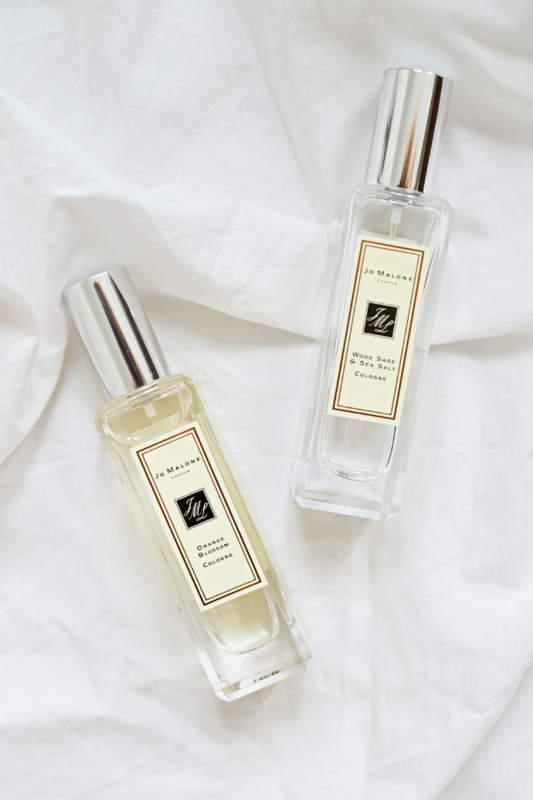 Jo Malone is British sophistication pur sang. And I can’t get enough. Ever since that day in Brussels Peonies & Blush Suede has been my signature scent. It’s sweet and floral and therefor perfect for the Spring and Summer. 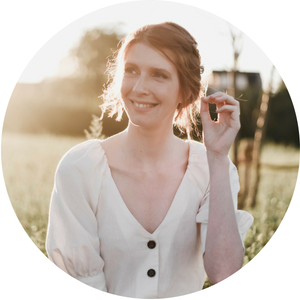 When later that year Wood Sage & Sea Salt was released I found my perfect Fall and Winter scent too. It’s a scent that can be worn by both women and men. Warm and… well, just beautiful to me. It’s my favorite of the three Jo Malone colognes that I have. The last cologne in my collection is Orange Blossom. A scent that I loved at first, but the longer I wear it the less it feels like “me”. With its fresh citrus-y smell and warm undertone, it’s somewhere in-between Peonies and Wood Sage. It was a gift I got for Christmas a few years ago and I think I only wore it three times since. Knowing how much they cost I was pretty bummed that I wasn’t wearing Orange Blossom as much as I felt like I should. I have been very, very thrifty with my other two bottles and only recently ran out of Peonies (after three years!). When I came to the Jo Malone counter to buy it anew, the lady started talking to me about “fragrance combining”. With fragrance combining you can customize your cologne and create a real signature scent. It’s as simple as spraying one cologne over another! 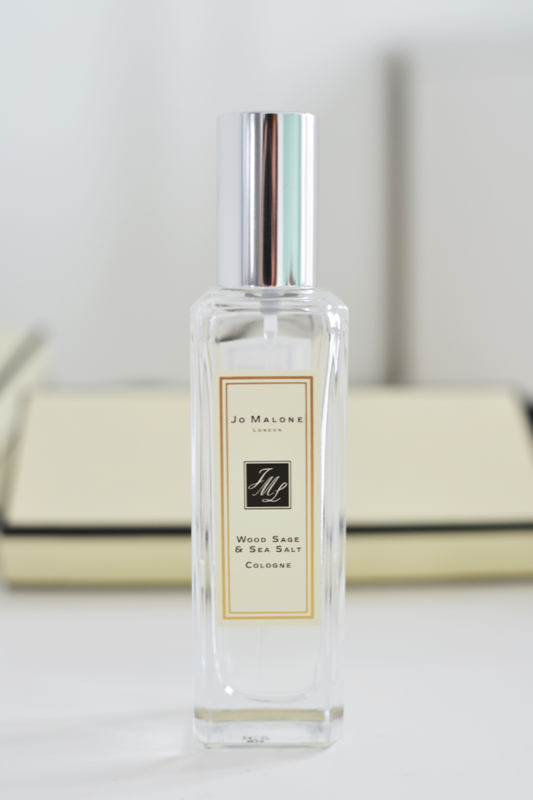 Jo Malone has been encouraging it’s costumers to combine their fragrances ever since it’s inception in 1994. Just one tiny thing I want to mention about layering Jo Malone colognes. Jo Malone colognes are very intense and do not wear-off as quick as many others do. By layering them you create a very heavy and very “present” smell, if you understand what I mean. If you want to layer two Jo Malone colognes I have one advice: be careful and do not spray too much. The lady at the counter was probably only trying to make me buy more, but unknowingly she gave me a solution for my Orange Blossom problem. Apparently Orange Blossom layers beautifully over Peonies & Blush Suede and Wood Sage & Sea Salt. Now aren’t those just exactly the colognes that I have? I immediately started experimenting with my small collection when I came home! The verdict? Although I still prefer the scents on their own, I will definitely spice things up sometimes and throw some Orange Blossom in the mix. Not a real fan of Orange Blossom with Peonies, but I definitely like it combined with Wood Sage & Sea salt. I’ve worn the combination a few times already and people keep asking what scent I’m wearing. And don’t we all love a compliment? It’s great that the mix so well together and that you can get more wear out of that other bottle! 🙂 I used to wear perfume everyday but with pregnancy nothing ever agreed with me, haha! I’ve fallen out of the habit now.